Senators Chris Murphy (D-CT), Richard Blumenthal (D-CT), and Dianne Feinstein (D-CA) have added their voices to Moms Demand Action for Gun Sense in America’s campaign for Kroger to ban the open carry of firearms in its stores. On August 18 Breitbart News reported that Moms Demand launched a campaign aimed at pressuring Kroger into changing its gun policy. 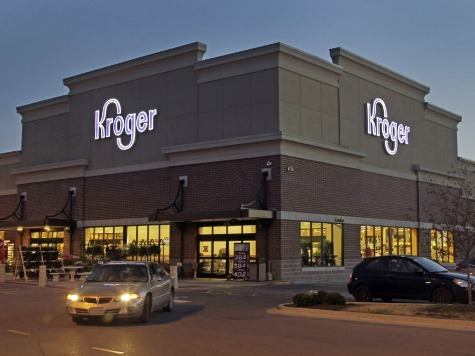 Current Kroger policy abides by local and state regulations. Moms Demand wants Kroger to ban the open carry of guns, even where it is legal. According to The Hill, Senators Murphy, Blumenthal, and Feinstein sent a letter to Kroger CEO W. Rodney McMullen on September 30 asking him to ban open carry in all Kroger stores. The Senators argued that “gun extremists… have exploited the current Kroger gun policy” by carrying guns openly while shopping. On September 8, Breitbart News reported that an armed customer was able to defend his life when he came under attack in an Indianapolis Kroger parking lot. And on September 4, The Indianapolis Star responded to the Moms Demand’ campaign by pointing to the attempted burglary of another Kroger in Indy “three years ago,” which was foiled when an armed Kroger employee intervened. In both these incidents, guns in the hands of free people kept employees and customers safe.